The NFC South division has become increasingly more competitive over the last few years with emergence of teams like the Atlanta Falcons and the Tampa Bay Buccaneers. There is no question that Drew Brees and the New Orleans Saints are the team to beat in the NFC South every single season, but things have gotten much tougher within the division as of late with the Falcons becoming a legitimate Super Bowl title contender and the Bucs being much better than anyone anticipated up to this point in the Josh Freeman era. Before last week’s win over the New Orleans Saints, the Tampa Bay Buccaneers looked like they were in serious danger of losing control of their season. With a devastating loss to the up-and-coming San Francisco 49ers in Week 5 (48-3), the Bucs looked lost on both sides of the football and saw running back LeGerette Blount go down with an injury that might keep him out the rest of the season. Without Blount coming out of the backfield and the passing game not being sharp as it was last season, the Tampa Bay Bucs seemed like a team that had lost its mojo, but then came out last week and put on a show against the division-leading Saints. With a win over the Saints, the Bucs are right back in the hunt for the NFC South division title which makes every game from here on out a must-win situation for Josh Freeman and company. In Week 7, the Tampa Bay Buccaneers will have their work cut out for them for a third consecutive as they will be defending their home field against the Chicago Bears. Even though the Bears have struggled at times this season, especially on the offensive line, the boys from the Windy City are still a solid football team on both sides of the ball and always a tough team for any opponent. Now that the NFC North division is being dominated by the undefeated Super Bowl champion Green Bay Packers (6-0) and the up-and-coming Detroit Lions (5-1), the Chicago Bears best chance of making their way back into the postseason this time around is to clinch a playoff berth in the NFC Wild Card. With that being said, this game could be extremely important for Jay Cutler and company as they might be going head-to-head against the Bucs in the near future for the Wild Card. 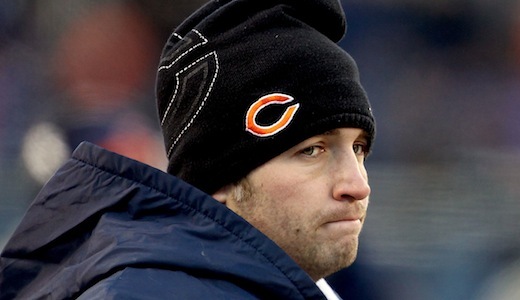 As of right now, the Chicago Bears have been given the edge in this Week 7 matchup with a -1 point spread. Despite being on the road and still struggling to protect Pro Bowl quarterback Jay Cutler, the Bears are the favorites; which leaves me scratching my head. This game has the potential to be one of the best of the week, but in the end I believe the Bucs will get a second straight win at home. Take the Bucs at +1.